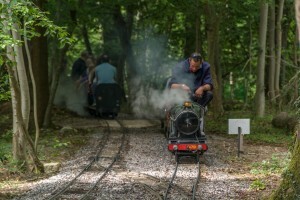 Ingfield Light Railway – Privately run, miniature railway based in Sussex. 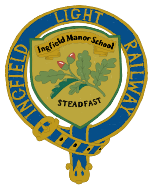 Ingfield Light Railway is a privately run, ten and a quarter inch gauge railway situated on the grounds of Ingfield Manor School. The school is for children who have cerebral palsy. 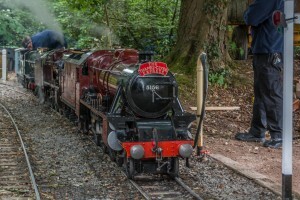 The railway not only helps to raise money for the school, as it is also a great source of great enjoyment for the children and their families at the various events held for them throughout the year. All money given to the railway in the form of donations and membership fees goes towards the running and maintenance of the railway, with the remaining money being donated to the school. Our members are involved in regular work and maintenance weekends, as well as assisting with the running of the railway for the events for the school and occasional public running days. We welcome new members and volunteers. If you wish to visit the railway please contact us in advance to organise this due to the fact we are privately run. We can also run charters for societies or groups.